What better way to start a blog than a rhetorical question? The only better opening would possibly be an introduction of myself as a passionate college freshman, or that this blog will feature personal tips, reviews, and other interesting tidbits about the world of Fighting Video Games. I could still go back and change the intro, but there is no backing down in this dojo. Why Fighting Games? I chose fighting games because I follow them rather passionately and feel i can report rather knowledgeably on the material. Also, I can hopefully convince somebody else that fighting games are definitely worth checking out at any opportunity. What specific pieces will you cover? As mentioned, everything will be personalized. This will include reviews of various fighting games I have experienced, tips for such games, explanation of fighting game lingo, various character summaries, etc. If it relates to fighting games, I will probably cover it! Who is this for? Honestly, this is mostly for me. I feel the desire to express my specific love for fighting games, and if someone else wants to learn about fighting games? This game will fill them in with everything I know on the matter. Any other elements you plan to add? While it may seem that fighting games are a very small topic (a subset of Video games in general), I still feel it may be to broad. More blogs may open up for specific games, character reviews, tips, etc. Perhaps even combo videos. Why “Crounching Light Punch”? The crouching light punch is the fastest move in most fighting games. It is used to combo into bigger attacks for massive damage. I plan to use this site as a “crouching light punch” or intro to a full combo for people to sharpen their knowledge on fighting games. Over the course of 4-5 months, I have been blogging on over Fighting Games, a topic I feel passionate about. I kept a somewhat consistent pace of 1 update per week, and I find that rather enjoyable. However, there were some moments I had that made me realize that if I were to have to work at a much faster pace, the stress would override all other satisfaction I received for blogging. Through my experience, I found both WordPress and Twitter easy and fun tools to use, though I don’t know how effectively I was in using them for promotion. I only used WordPress to update my own content, not explore other people’s works, and I only used Twitter to examine other people’s works (doing the bare minimum of posting on Twitter for my own content). Something I definitely need to improve on is getting comfortable with promoting myself on Twitter more often. At least I was able to learn all about the tools needed for succession in online media; I can make use of those tools in the future once I really find what I wish to promote. It’s not that I don’t enjoy blogging about Fighting Games, I do; in fact, I wish I had more experience so I could review more games, as described in the image captions, to name a few, not to mention EVO 2015, which would take me 6-7 posts to cover to it’s full extent. I just feel like this isn’t my calling and would like to put the time I would be using for more blogging into something more appealing to me on a personal level. I conducted some field work in the form of two quick interviews among in a pair of colleges at my University’s gaming club to try to find out what their general opinions are on fighting games. The full interview is posted below. 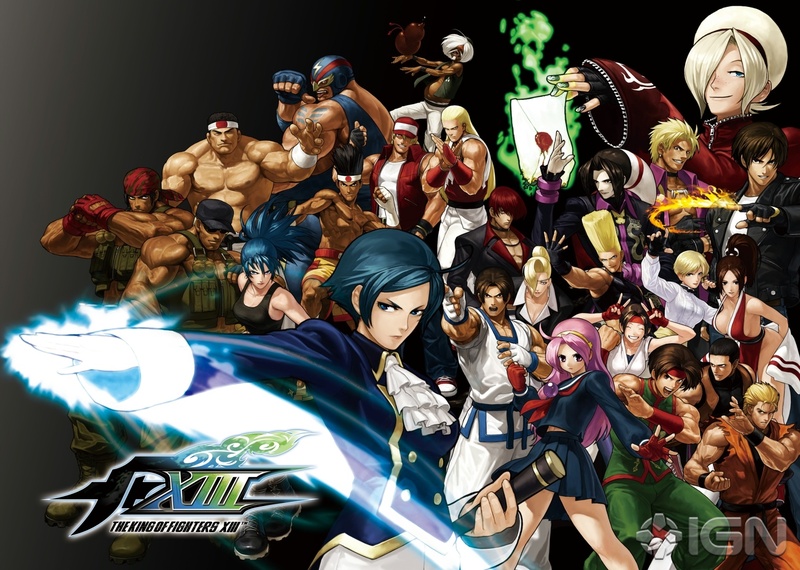 What is your favorite fighting game and why? Who is your favorite character and why? Skullgirls is an Indie fighting game developed by Reverge Labs, Mike “Mike Z” Zaimont and Alex “o_8” Ahad. 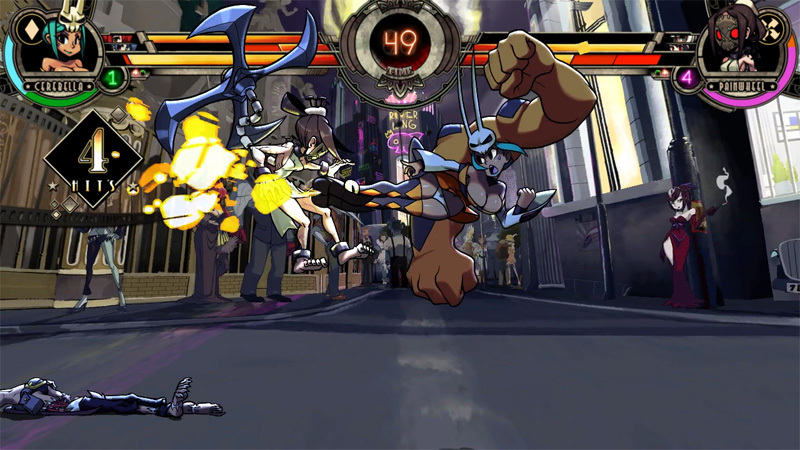 Released in 2012, Skullgirls focuses on being an easy introduction into the world of fighting games while maintaining a strong competitive scene. With currently 13 incredibly unique characters and 1 more on the way, Skullgirls has a lot to offer anyone interested in getting into fighting games or even someone already in deep. Every character plays completely different from each other; Cerebella and Beowulf are grapplers that need to get close to deal heavy damage, Peacock relies on projectiles and ranged attacks, Parasoul utilizes traps and long pokes, etc. It takes some time to learn them all and find ways to team them up in either 2 or 3 fighter teams, or you can just roll with 1 fighter you know extensively. 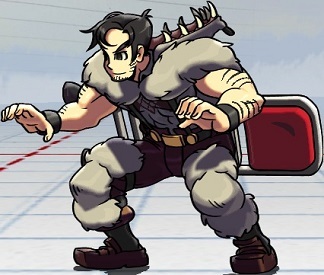 Personally, I am enjoying the hell out of Skullgirls, especially the newest character, Beowulf. The game is a ton of fun to play, and I would recommend it to anybody who either enjoys fighting games, or would like to get into fighting games. There are some games that aren’t exactly fighting games, but share enough qualities to merit recognition. The very general mechanics are present, those being the use of footsies, competition, and mind games, making these games feel like rather dumbed down versions of fighting games to their core fundamentals (some do this better than others). The most notable to me are Nidhogg, Lethal League, Gang Beasts, and DiveKick. Nidhogg is a 2D sidescroller, where the two players are competing to scroll the screen. Advancement is only possible once the enemy player is killed, and each player dies with one touch of the sword provided to both. The player killed respawns after a brief period, but his/her opponent has already made their way to the end goal, which is 4 screen scrolls away from the middle of the stage where they each start. The application of instant kill, platforms, and the pressure to advance and chase makes places emphasis on thinking ahead of your opponent and taking advantageous positioning. Lethal League can hold up to 4 players at once, and the stage is an inescapable box with a killer ball in the center. Each player’s goal is to hit the ball, sending it flying into other players and knocking them out in a single touch. However, each player can hit it back, and each consecutive hit on the ball will cause it to go faster. Positioning, reflexes, and some basic mind games will help players excel in this kind of battlefield. Gang Beasts, like Lethal League, can hold up to 4 players. 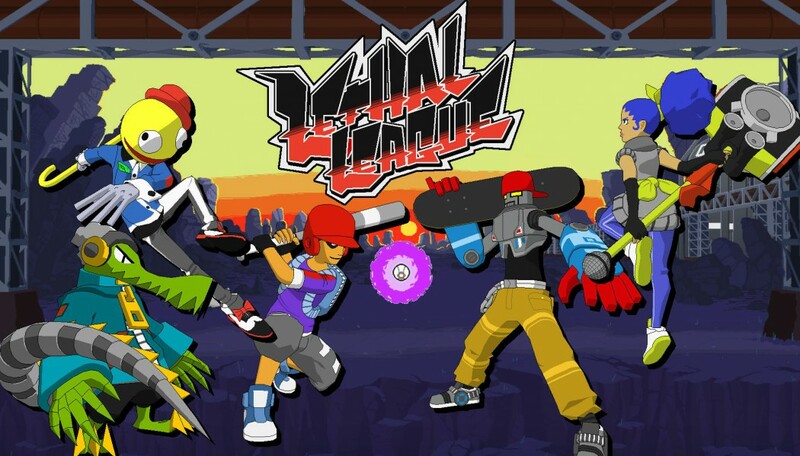 Unlike Lethal League, however, you have less control over your movements. The game is all about momentum, as it takes time and effort to get moving and to stop moving. The overall goal is to eliminate enemy players by throwing them into various stage hazards, or simply off the stage entirely. The mind games come into play with the knowledge that your opponent is having as much difficultly controlling his character as you are, and finding ways to take advantage of that. 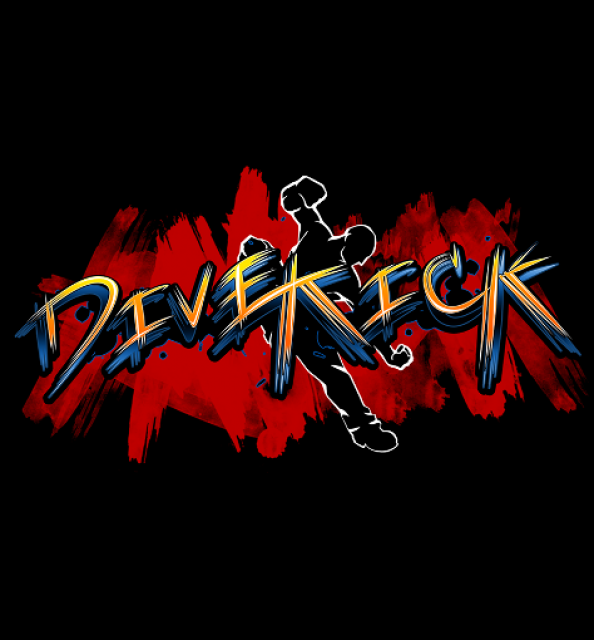 DiveKick resembles a simplified, parodied fighting game, taking away all the specifics and focusing only on trying to land your instant kill divekick before your opponent. In fact, there are only 2 buttons: jump and dive. As silly as it sounds and tries to be, the mind games and footsies of this game are intense because of the zero tolerance for mistakes: take one hit and you lose a round. To make up for the fast paced rounds, it takes 5 round wins to take a whole match. 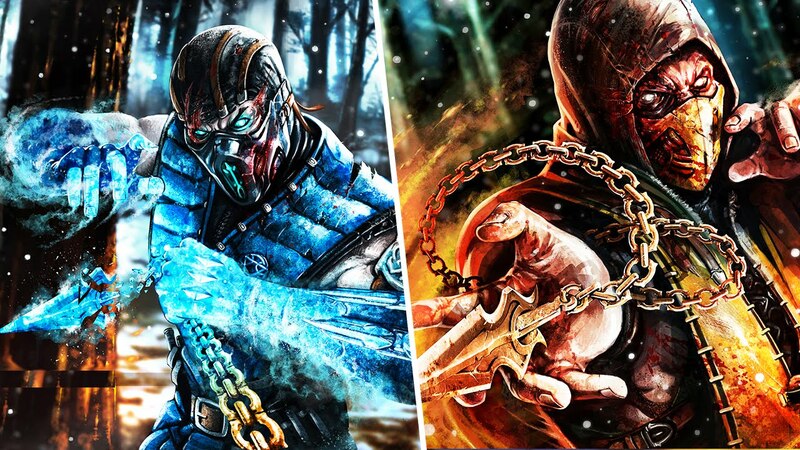 Currently, these games are considered fighting games in a rather loose sense. What would be a better word for these kind of games? Do they deserve their own genre of game? What other games belong in this category? Let me know if you have any thoughts! If you wish to view any gameplay of these games, I will leave some below. Beware of foul language and salt. On April 1st 2015, during the Nintendo Direct, we received some very important Smash Brothers information. 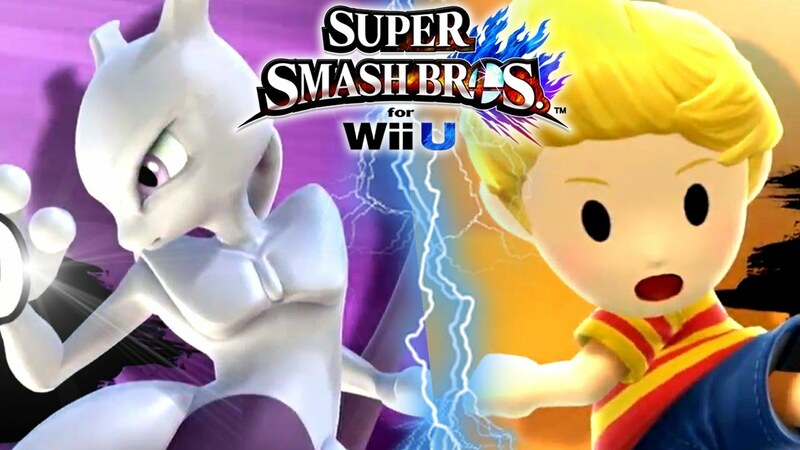 First of all, we were given a release date for the 1st DLC ( Downloadable Content) character Mewtwo, as well as info that the next DLC character will be Lucas, making a return from Brawl. The most important piece of news, however, was the revelation of the Smash Bros. 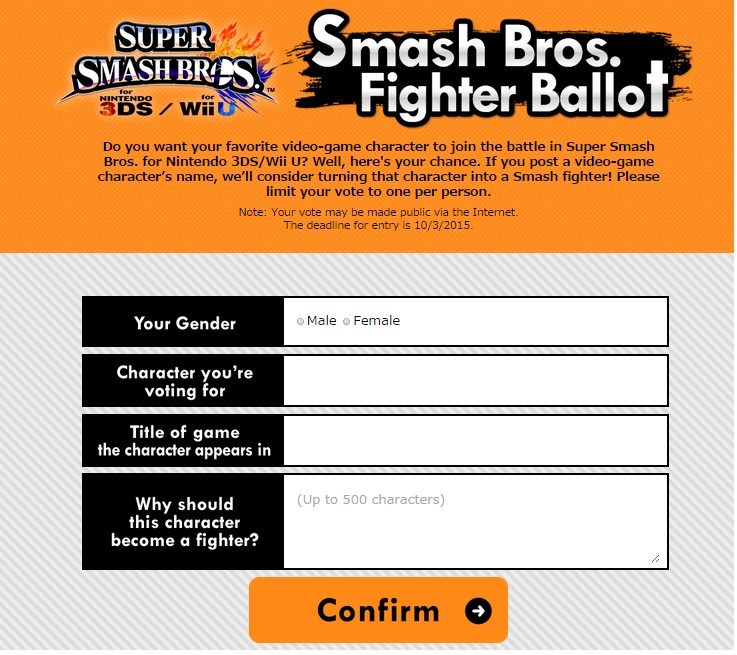 Fighter Ballot. The ballot is exactly what it sounds like; anybody can go through the ballot and vote for any character they have ever wanted to be in Smash. The final day for voting will be October 3rd, 2015, and the winner of the ballot will be the next Smash DLC character. Currently, the votes are high for Snake (from the Metal Gear Solid series), King K Rool (from Donkey Kong), and Banjo & Kazooie (from Banjo-Kazooie). Personally, I have voted for Wonder Red, from the WiiU game Wonderful 101, and I suggest you do the same if you are on the ropes as to who you think you should vote for. The link for voting will be provided here. 1.) The character will more than likely be someone who is close to Nintendo. Characters such as Master Chief from the Halo series would not play well do to Microsoft copyrights and the competitive nature between the Microsoft Xbox and the Nintendo consoles. 2.) The character will get an amiibo, which is a small figure which connects with the WiiU tablet and provides special benefits for games where the certain amiibo is related. 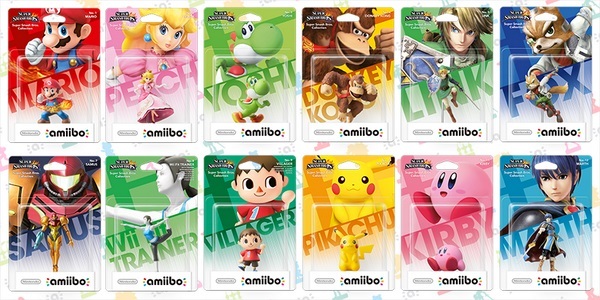 Whoever gets in Smash will get an amiibo, so that amiibo will have to be usable in more than just one game. 3.) Try to take the voting seriously. Obviously names like Captain Jack Sparrow won’t make it in Smash, so don’t waste votes for fruitless endeavors. Who are you voting for Smash and why? Leave a comment about who you want to see.